VXG Server is a multi-format video streaming, recording and processing server that can be deployed on Linux and Windows computers or Cloud instances. It works with any IP video sources, such as IP cameras, DVRs, mobile cameras, web cameras and network encoders. The server converts live video on-the-fly to all major formats WebRTC, RTMP, RTSP and HLS simultaneously making video viewable on any screen including all major browsers without plug-ins. The server has a full featured Network Video Recorder (NVR) functionality. It comes with HTML5 player and mobile apps. Web SDK, native Android and iOS Mobiles SDKs and REST API are available for developers. 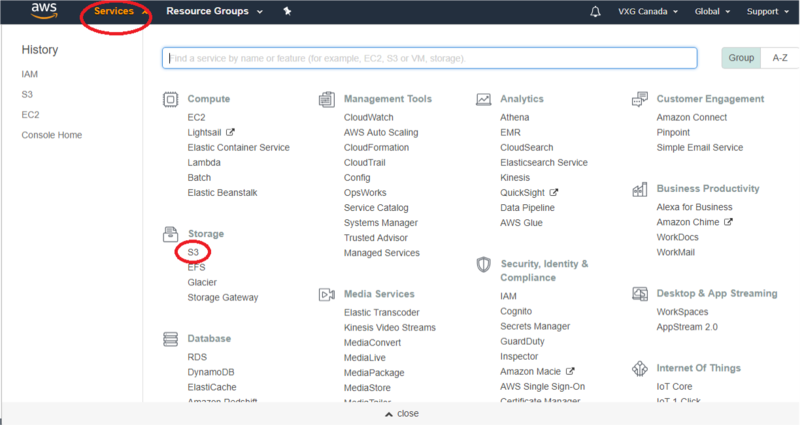 Step 1: Go to a directory with the VXG Server. -r: use local storage for recording. -c: CERTIFICATE_PATH: use certificate for HTTPS. -h: SERVER_HOST: (Obsolete) for compatibility with earlier versions. 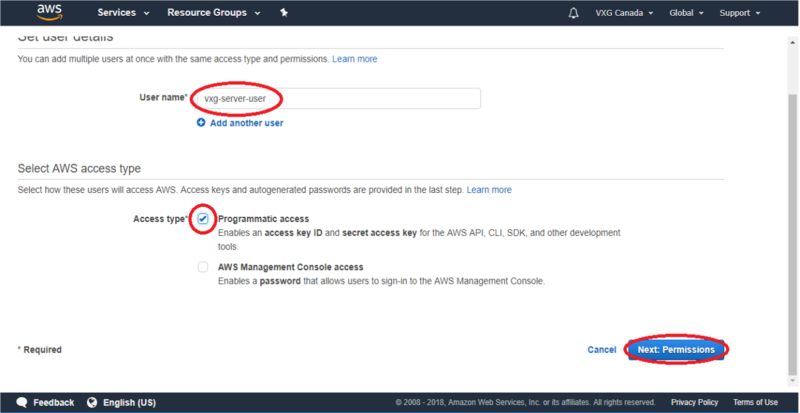 Step 5: Open it in a browser: http://localhost/ (if you're running server locally) or http://SERVER_HOSTNAME/ (where SERVER_HOSTNAME - is a hostname or IP which you use to reach the host machine, in example AWS EC2 instance's public IP). The default login/password is admin/admin. Step 1: Open a Command Prompt as an Administrator and go to a directory with the VXG Server. Step 5: Open it in a browser: http://localhost:8000 The default login/password is admin/admin. Step 3: Open the License & Plans page under your account in the dashboard (https://dashboard.videoexpertsgroup.com) and paste the UUID in the corresponding field. 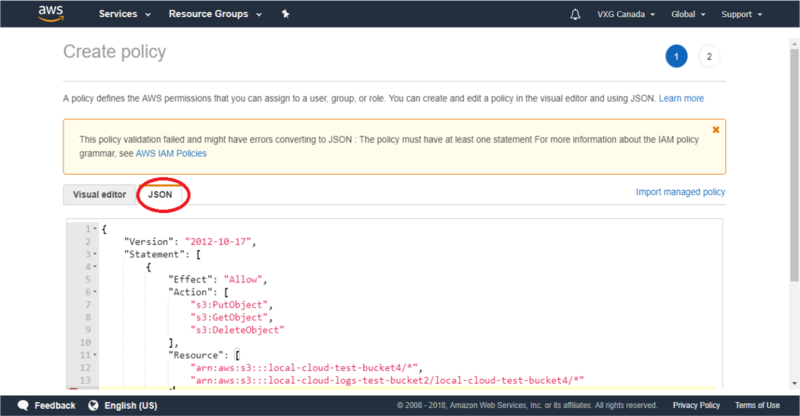 Step 1: Login at AWS AWS web console. 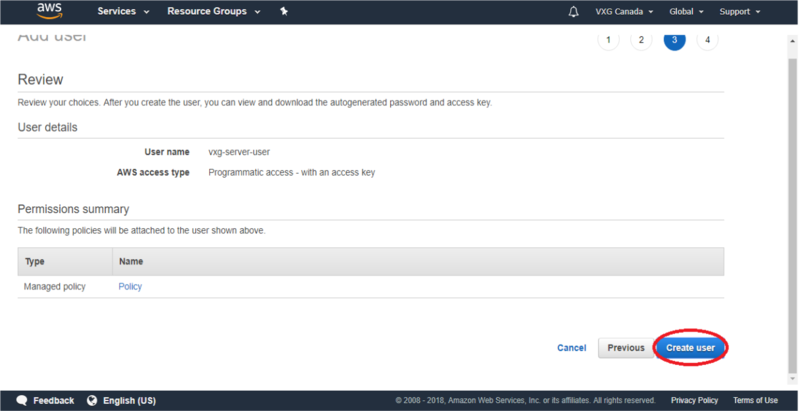 Step 3: VXG Server requires 2 buckets (first for records and images and the second for logs). Click on ''Create bucket'' button. 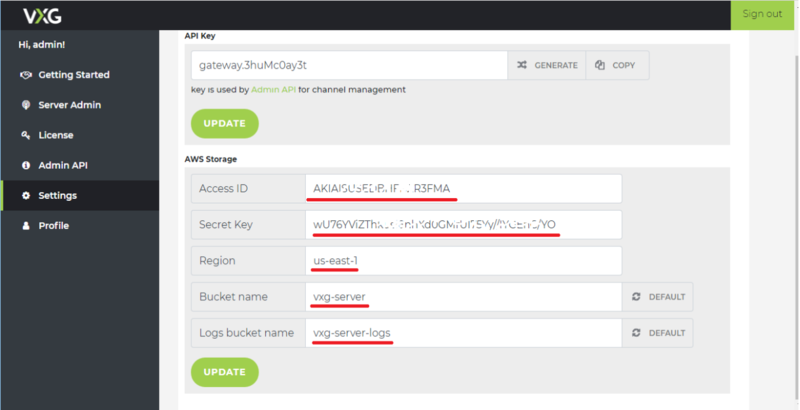 Give it some name, for example: vxg-server-logs – it will be the bucket for logs. 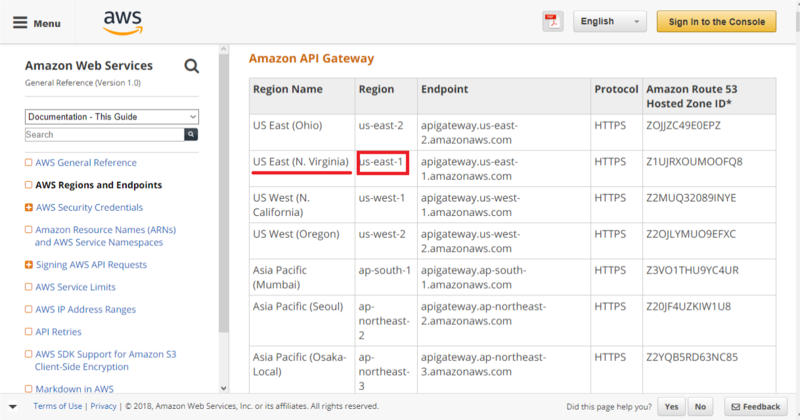 Select a region where buckets should be created (for example 'us-east-N. Virginia'). Then click "Next" 3 times and “Create bucket”. 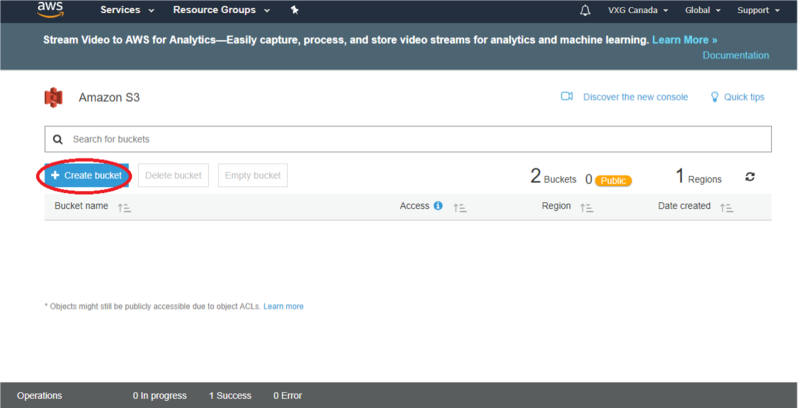 Step 4: Create another bucket for images and records in the same way, for example vxg-server In the “Set Properties” menu click at “Server access logging” then click “Enable logging” and type at “target bucket” field your previous bucket, in our case it was vxg-server-logs and click “Save”. Then click "Next" two times and “Create bucket”. 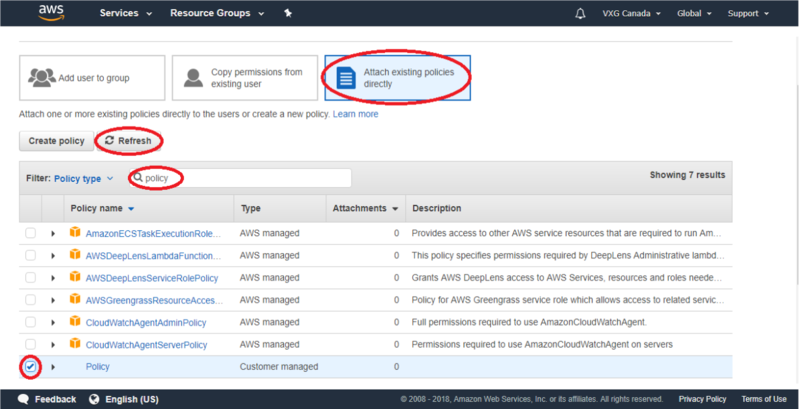 Click at “Review Policy” then give it some name, for example: “Policy” and click “Create Policy” button. 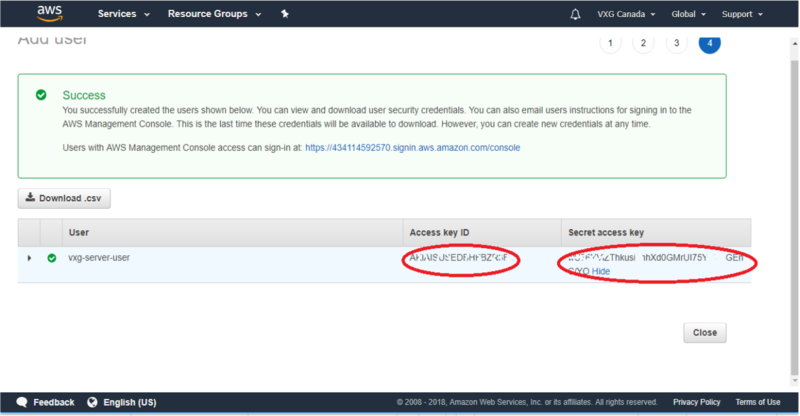 Step 10: Save in the text file the pair of access keys (aws_access_key_id / aws_secret_access_key). 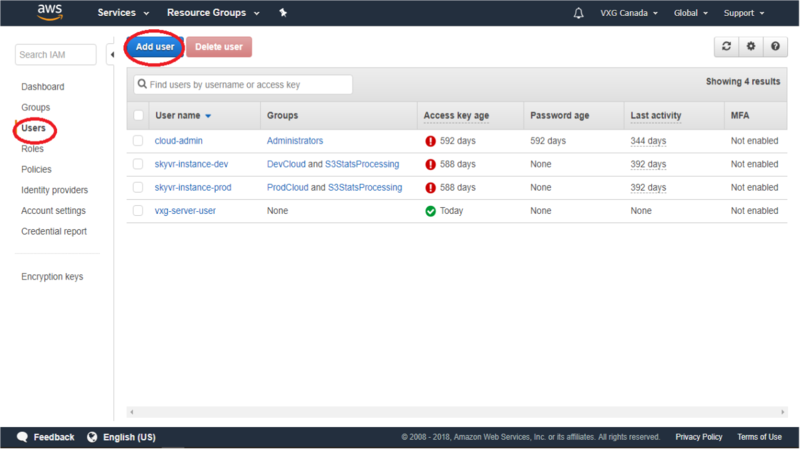 They will be used for access to S3 in your VXG Server settings. Before you get started, you will need to choose and purchase a domain name for your server and get a SSL certificate for this domain name. 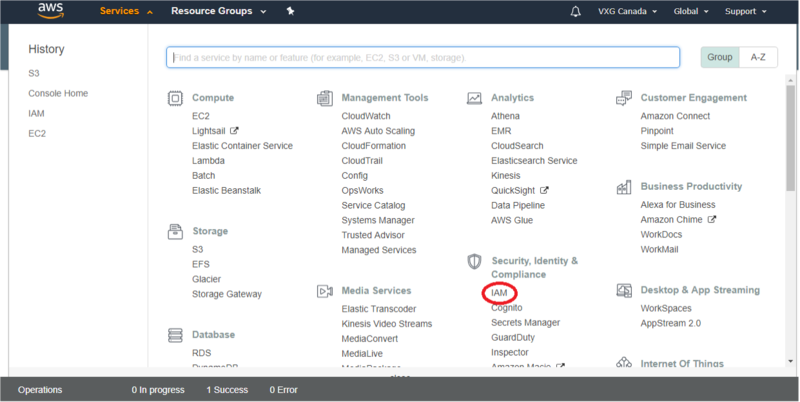 Then you will need to create a DNS A record for the IP address where your VXG Server is installed. The file certificate.crt must contain full certificate chain to the root CA to be compatible with all clients. Please contact your certificate issuer to get the full chain of certificates. Step 1: Copy both certificate files (certificate.crt and private.key) to any folder at your host machine with VXG Server and store the path to this folder. Step 1: Copy both certificate files (certificate.crt and private.key) to any folder on your host machine with VXG Server and store the path to this folder. Step 3: Allow docker to access the disk where you have created a folder for certificate.crt and private.key. Please make sure that there are no conflicts with other services on the same machine. To backup or restore VXG Server properly, you should firts run stop.bat or stop.sh. This will guarantee consistency of the server's volumes.